Some of the most famous chefs in the world hail from Spain. There are restaurants in the Basque Country and Catalonia which you have to book a year, rather than a month in advance. But posh nosh aside, discover the top ten traditional Spanish foods to try on your holiday to Spain. Whilst the Spanish are keen on spices, they're not so hot for spicy food. 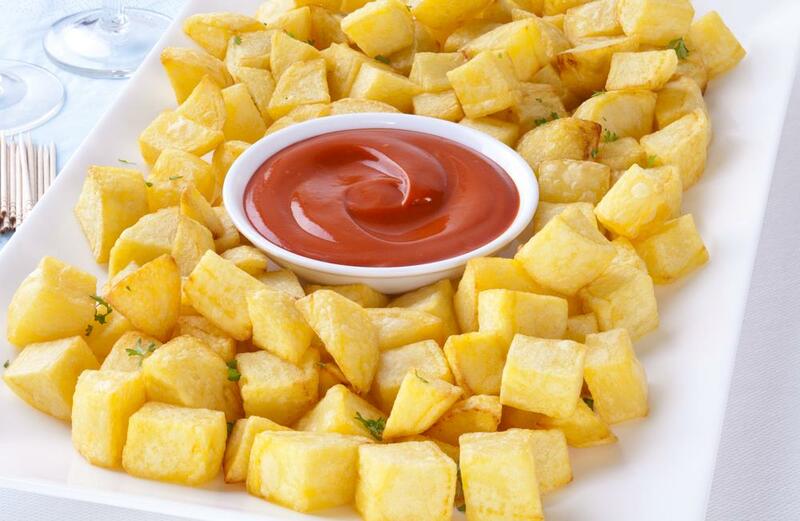 One of the few exceptions to the rule is this famous Spanish dish and nationwide favourite, patatas bravas. Here a fiery red sauce, varying in composition from province to province, accompanies humble spuds which have been peeled, cubed, and fried. One of the most famous Spanish dishes is, of course, paella. For an authentic paella, visit Valencia, it was here in the mid-19th century, on the shores of Lake Albufera, that the dish was born. 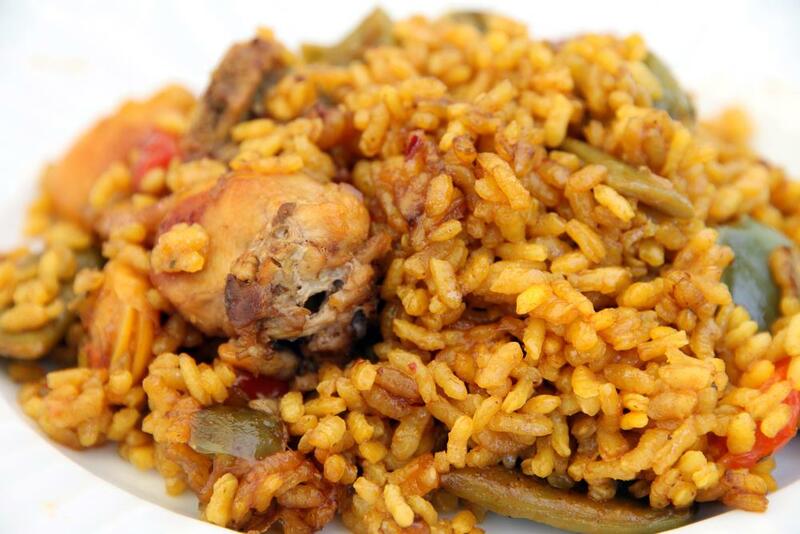 In a Valencian paella, the key ingredients are chicken and rabbit although the seafood versions are considered traditional in more coastal areas. Nothing cools you down more on a hot summers day, aside from a cold shower than a starter of this chilled soup. Which explains why this Spanish dish hails from mainland Spain's most southerly region, Andalucia. 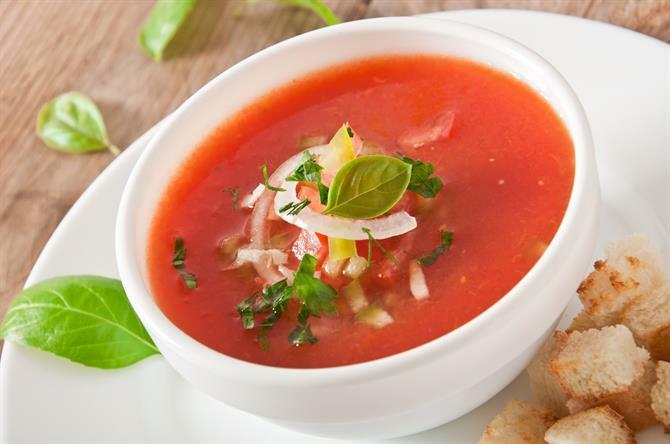 Combining pestle-and-mortared cucumber, garlic, onion, pepper, and tomato with olive oil, salt, water and wine vinegar, the gazpacho receives a happy finish of chopped cucumber, onion, pepper, and tomato. 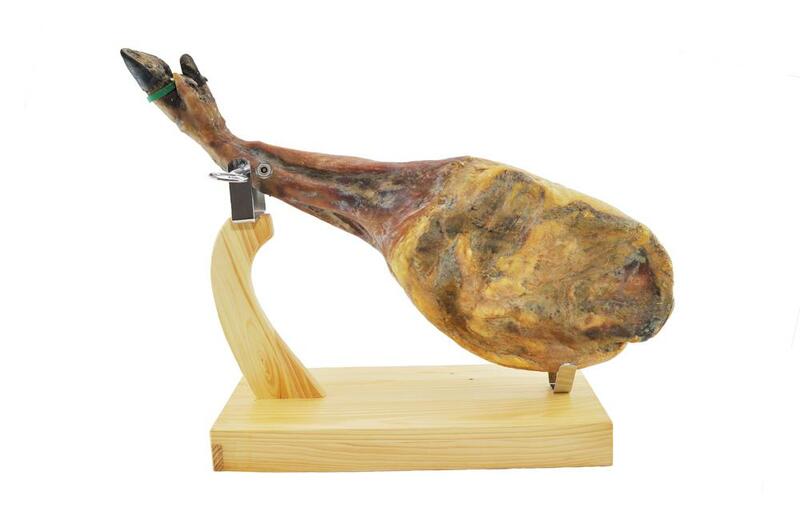 Walk into any bar, let alone restaurant, in any part of Spain and you'll always see a leg of ham. One of the bar staff will, on request, slice said ham into succulent slices to create one of the country's most distinctive taste sensations. A popular Spanish tapas dish, Spain produces a massive 40 million hams a year. There is an argument that anything tastes good deep-fried. 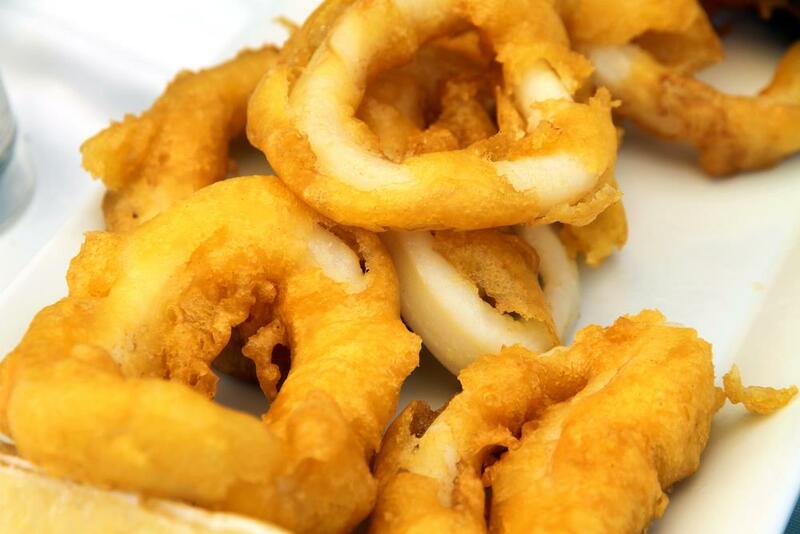 What is beyond doubt is the scrumptious crunch-meets-chewy gastronomic experience of battered squid. Especially when doused in freshly-squeezed lemon. If you are staying in Galicia, roll into any old hostelry and order a plate of octopus, Galician style. 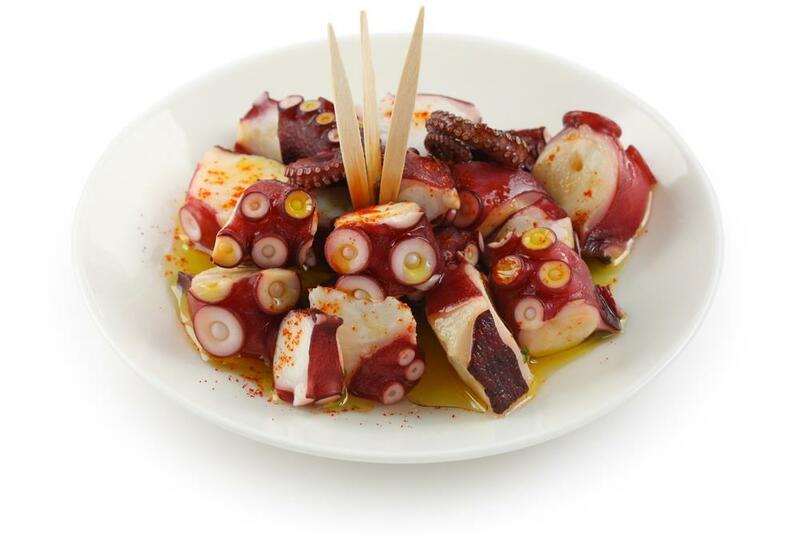 Here, Galicians pep up boiled octopus with paprika, sea salt, and olive oil. Another traditional Spanish tapas dish, Spanish omelette, is nothing like the version which used to appear in British kitchens with judicious use of chunky pepper. 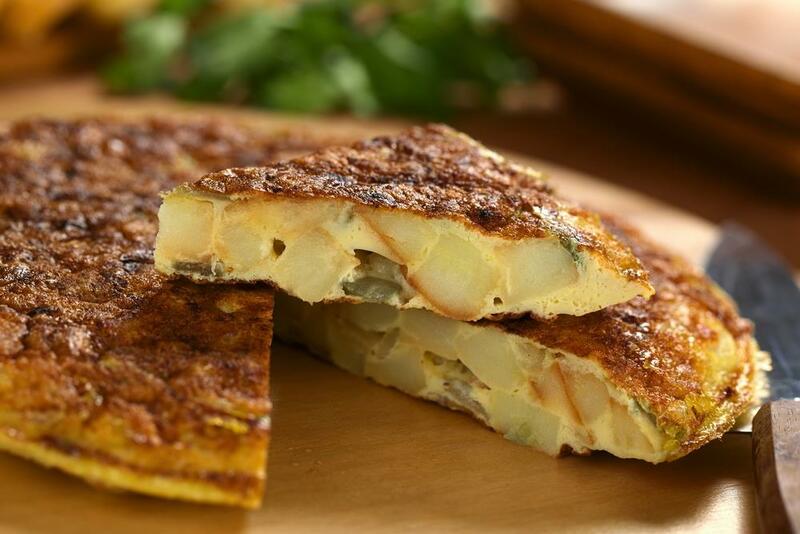 Tortilla Española is also known as "tortilla de patatas" where pre-fried potatoes are the main ingredients after eggs. Chopped onion is sometimes added to the recipe which often sparks controversial conversations with Spaniards. A crema ordinarily refers to a creamed soup. 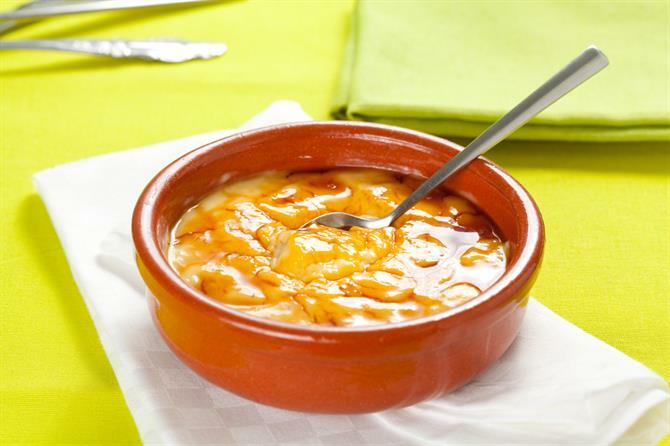 However, a crema Catalana is a Catalan take on France's classic crème brûlée. Here caramelized sugar tops a rich custard flavoured with citrus zest and cinnamon. 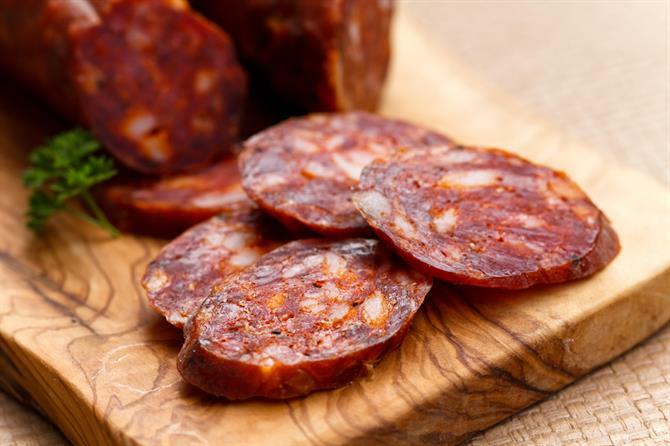 You'll certainly know when you've sampled this traditional Spanish dish, as the taste lingers for several hours after you eat this spicy and sweet sausage. Especially as whoever's made it would have probably gone heavy on the garlic. 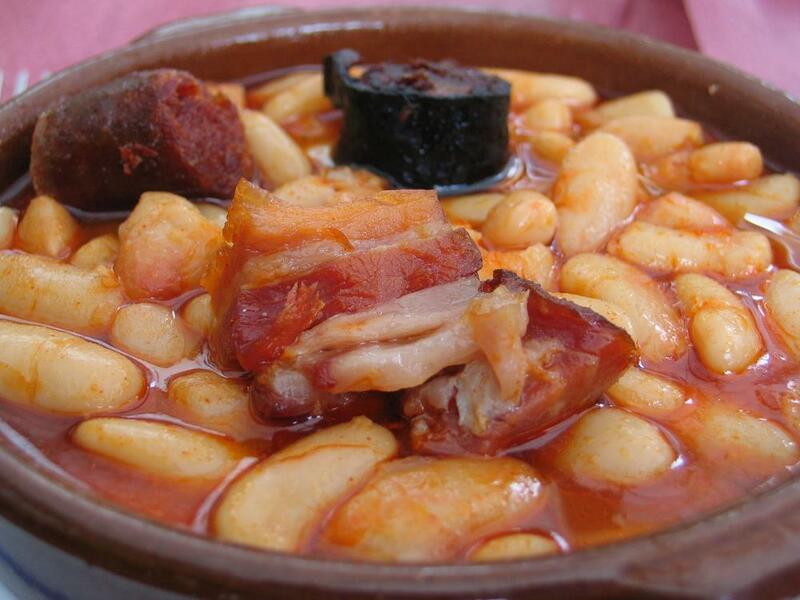 Chorizo is also a key ingredient in Asturias' signature dish of fabada, alongside morcilla, which is similar to black pudding. This is a hearty white-bean stew that the mountain dwellers of Spain's most picturesque region use to warm themselves up when the cold snap of winter strikes.